This is the 125cc twin on which multiple World Champion Hailwood won his first Isle of Man TT in June 1961. 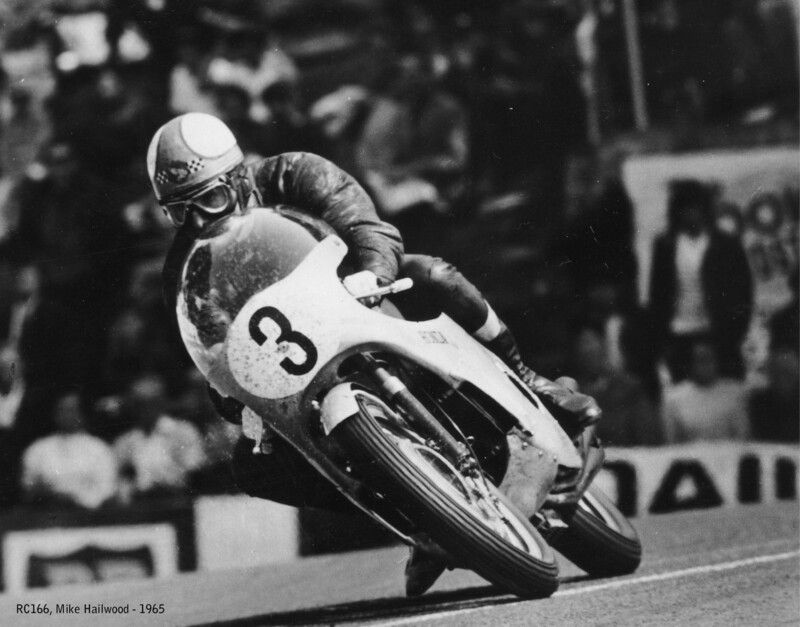 Later the same week Hailwood also won the Junior TT on an RC162 four-cylinder 250, aboard which he would later claim Honda’s first World Championship. 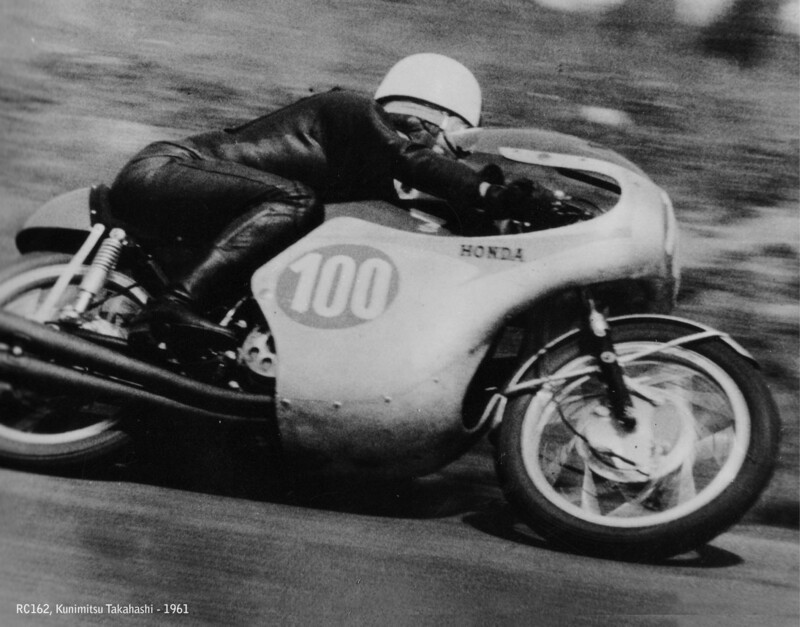 When Takahashi beat team-mate Jim Redman – also riding a four-cylinder RC162 – to win the 1961 West German 250 Grand Prix at Hockenheim he became Japan’s first GP winner. 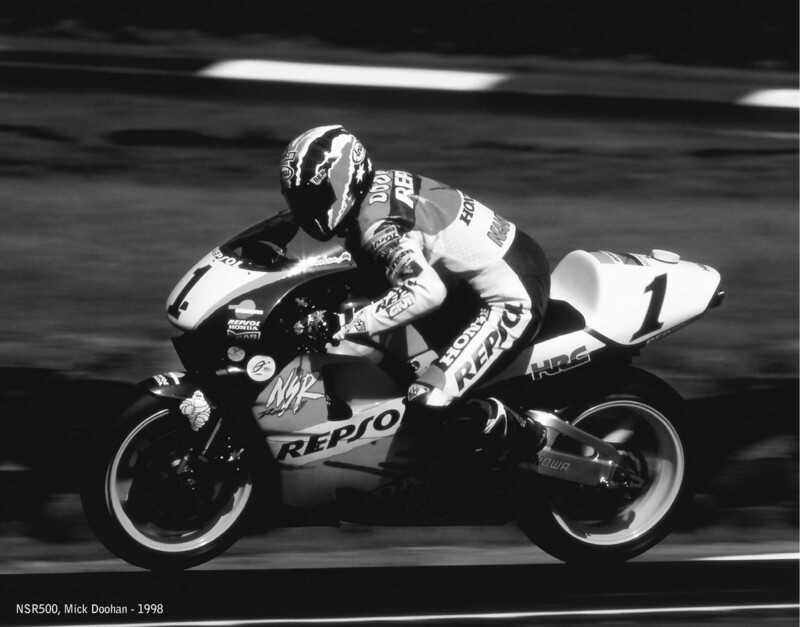 Christened Tak-san by his fans, Takahashi also won three 125 GPs, aboard RC143 and RC145 twins. 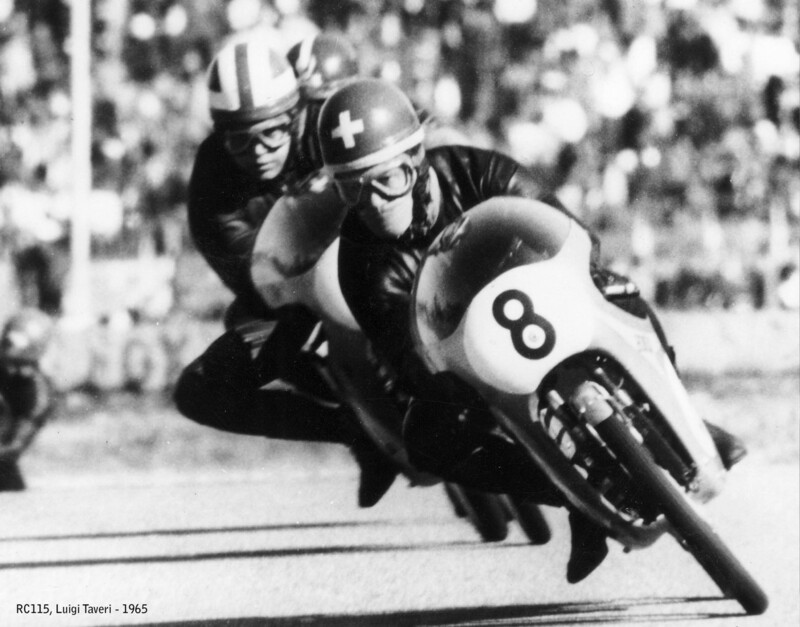 Swiss ace Luigi Taveri was Honda’s strongest rider in the smaller 50cc and 125cc classes during the 1960s, winning 26 GP victories and a hat-trick of 125 world titles. This is Taveri on the 50cc twin, which made 13 horsepower at 20,000rpm, equivalent to 260 horsepower per litre! The five-cylinder 125 was one of Honda’s most fabulous creations. Built to defeat the two-strokes, the five revved to 21,500rpm and won the 1966 125 World Championship in the hands of Luigi Taveri. 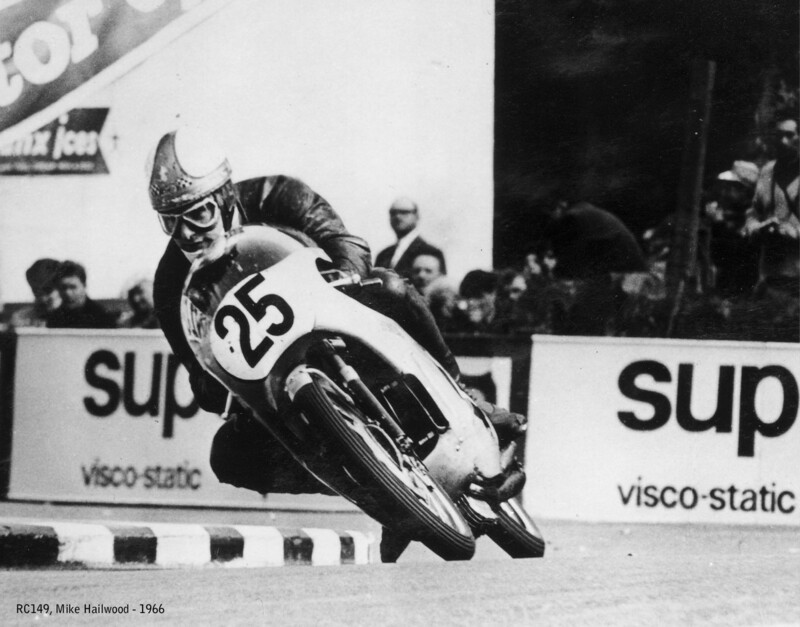 Mike Hailwood had a one-off ride on the bike at that year’s Isle of Man TT. 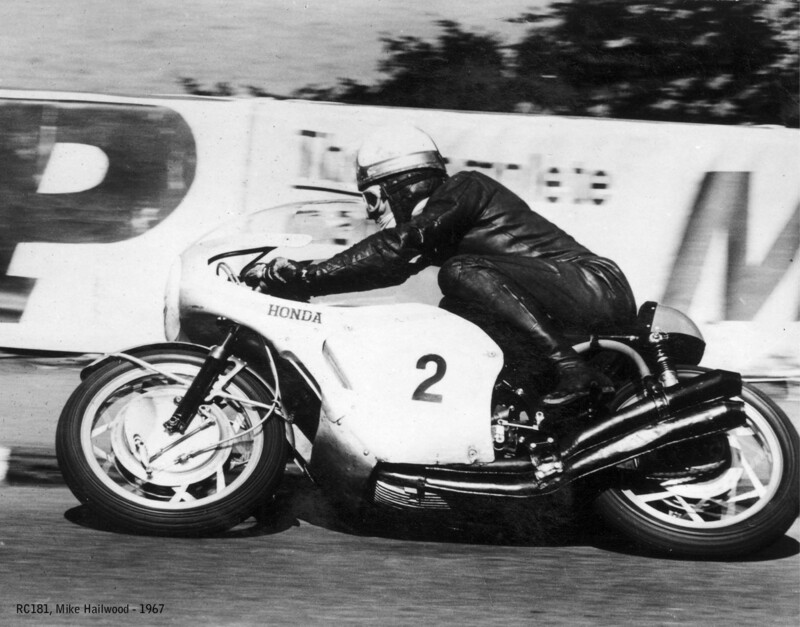 Hailwood joined Honda as a factory rider at the end of 1965 and enjoyed a dazzling time, winning two 250 and two 350 world titles aboard Honda’s legendary six-cylinder machines. The RC166 250 revved to 18,000rpm and is arguably the greatest-sounding GP bike of all time. 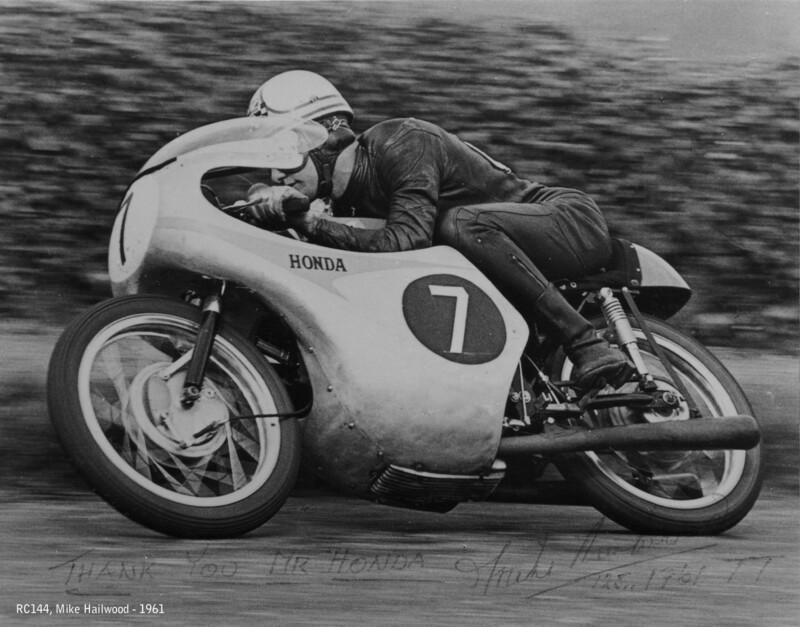 Hailwood rode Honda’s first 500 GP bike – the mighty four-cylinder RC181 – in 1966 and 1967. Although he narrowly failed to take the title, his race wins did help Honda score a unique clean sweep of the 50, 125, 250, 350 and 500cc Constructors’ World Championships in 1966. 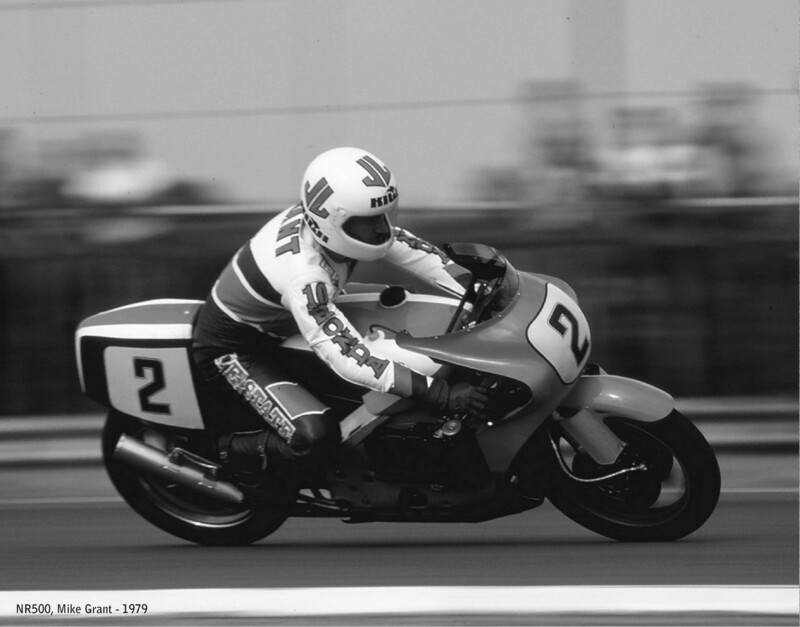 Once two-strokes had become dominant, Honda returned to GP racing after a decade’s absence with the NR500 four-stroke. The bike was a rolling test bed, featuring oval-shaped pistons, eight valves per cylinder and a radical monocoque frame. It also featured the first slipper clutch. 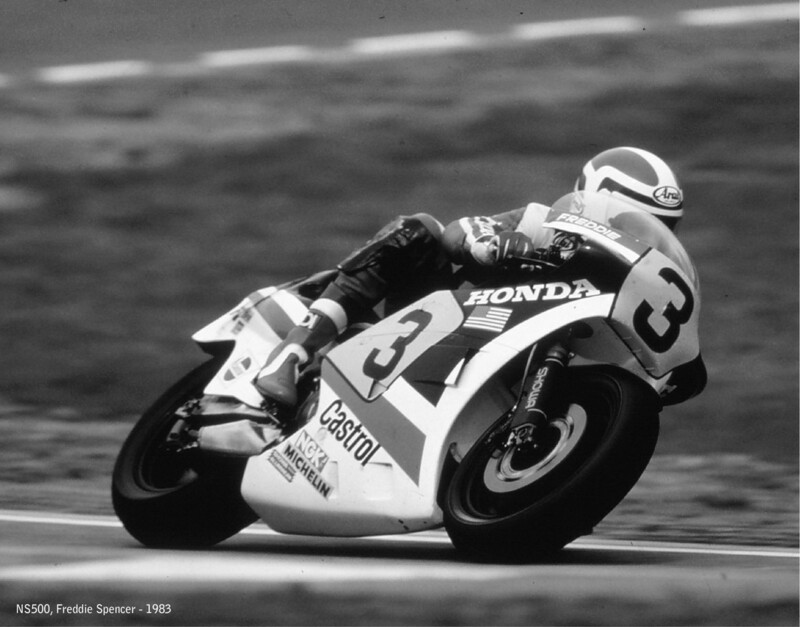 The NS500 was Honda’s first two-stroke GP bike and became hugely successful, most of all in the hands of Freddie Spencer who won Honda’s first 500 title on the NS in 1983. The three-cylinder machine was renowned for its fine handling and rider-friendly character. Mick Doohan and the NSR500 ruled GP racing during the late 1990s, winning five consecutive premier-class World Championships. The NSR became Honda’s most successful Grand Prix bike, winning races in the hands of many riders and further world titles with Alex Criville and Valentino Rossi.